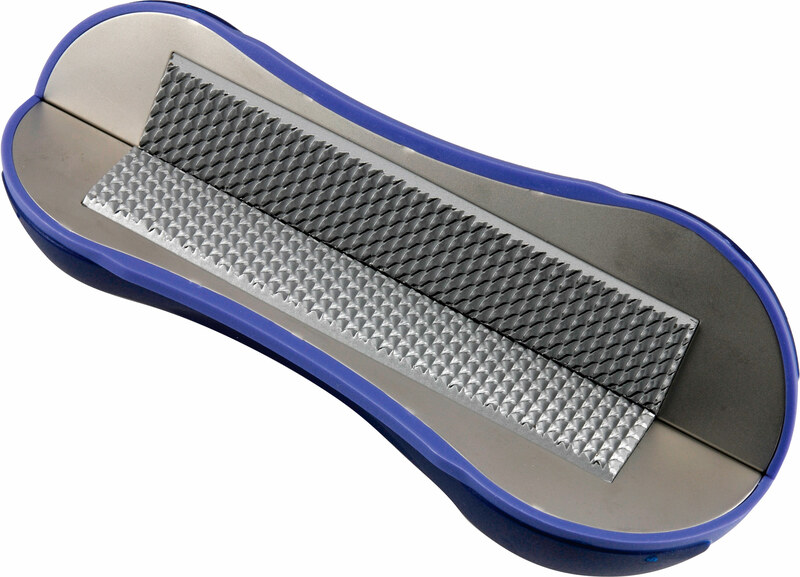 The RidersRasp™ features a non-slip, ergonomic grip and interchangeable rasp refills for one handed hoof maintenance in between professional trims. This is ideal for maintaining hoof balance, rounding, easier breakover, stopping cracks and removing flares, saving time and money. Coarse: Removes material but it doesn't leave a smooth surface. Medium: Removes a little material but it leaves a few marks on the surface. Fine: It leaves a smooth surface.